William Kerrigan received his Bachelor of Music and Master of Music degrees from Temple University. His principal teachers include Alan Abel, Jack Moore, and Charles Owen. He has been principal percussion/assistant timpani of the Delaware Symphony Orchestra, principal percussion with Peter Nero and the Philly Pops, principal percussion of Orchestra2001, and leader of the Phil-A-Rhythm Percussion Quartet. He also performed at the Aspen Music Festival, backed up such musicians as Shirley Bassey, Art Garfunkel, Al Green, Michael Feinstein, the Moody Blues, Brian Wilson and the Beach Boys, and performed in the orchestras of the Pennsylvania Ballet and the Opera Company of Philadelphia. 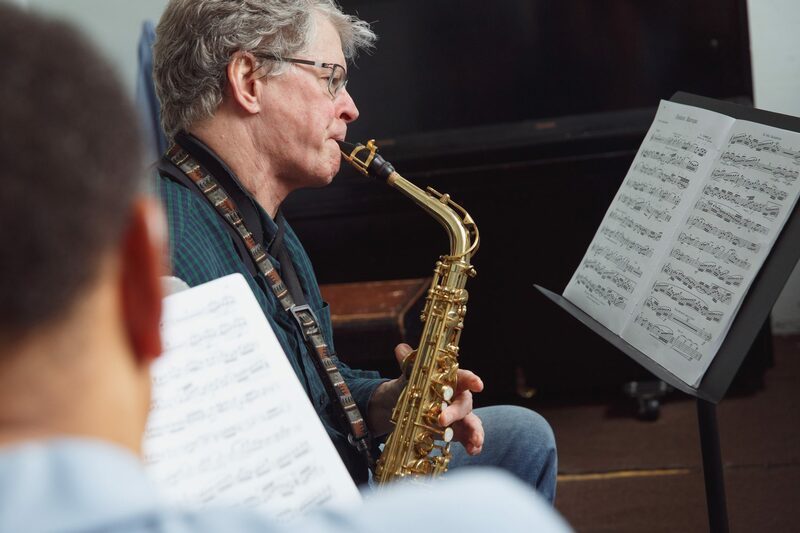 In addition to being Distinguished Faculty Chair at Settlement, he also has taught or continues to teach at the Community College of Philadelphia, Eastern University, Swarthmore College and the Wilmington Music School.